Could cold weather be increasing car pollution? Vehicles running on diesel could be creating more pollution in colder weather, according to the findings of a new study. Research from testing company Emissions Analytics found that carbon emissions from many popular vehicles are much greater when the outdoor temperature drops below 18 degrees C.
Some 213 models from 13 manufacturers were assessed as part of the study, the Daily Telegraph reports, with the problem being more pronounced among vehicles approved between 2009 and 2011. These fall into the category dubbed Euro 5 – and chief executive of Emissions Analytics Nick Molden said the problems are very widespread among cars from this generation. Part of the issue is that vehicles could be driven around with their pollution controls partly turned off, which means that more air pollution is likely in colder temperatures when people drive more often. Manufacturers claim the practice is legal and is intended to limit the chances of a breakdown. European rules allow manufacturers to cut back on pollution controls, provided engine protection is the reason. Indeed, there have been warnings that drivers could be at higher risk of certain parts of their vehicle breaking down without the technology, prompting major repair work. "Below 18 degrees, many [cars] have higher emissions," Mr Molden commented. 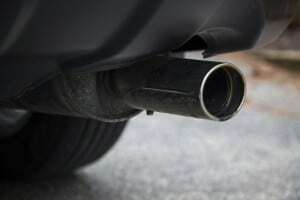 "The suspicion is, to give the car better fuel economy. "If we were talking about higher emissions below zero, that would be more understandable and there are reasons why the engine needs to be protected. But what we've got is this odd situation where the temperature threshold has been set far too high and that is a surprise." The Society of Motor Manufacturers and Traders told the BBC that temporary reductions to emission controls are acknowledged by the government and that the technology is improving all the time. This means significant emission reductions could be just around the corner, mitigating the issue.